The words of Kenneth Goldsmith, described by Juliana Spahr as 'the world's leading conceptual poet', and by himself as 'the most boring writer that has ever lived'. His ideas are being brought to the screen by artist and director Simon Morris in a film to premiere at the British Library in London on Friday 26th October. 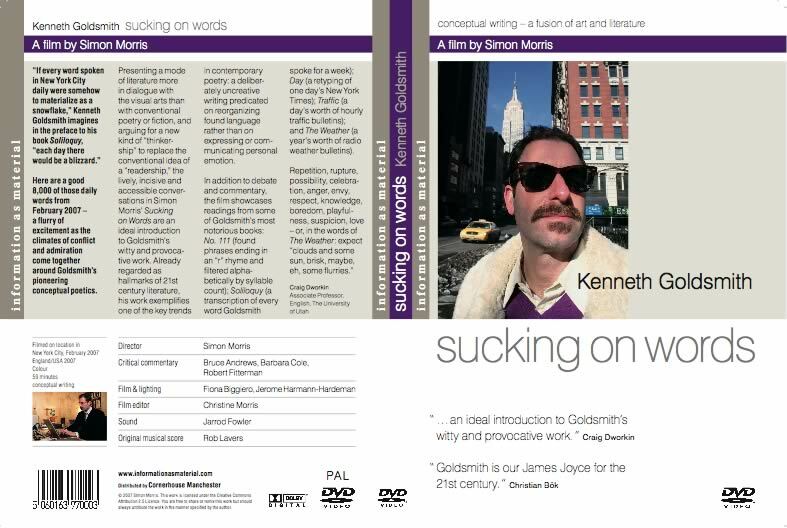 Christian Bšk, one of Canada's leading poets and the winner of the 2002 Griffin poetry prize, said: "Goldsmith is our James Joyce for the 21st century."